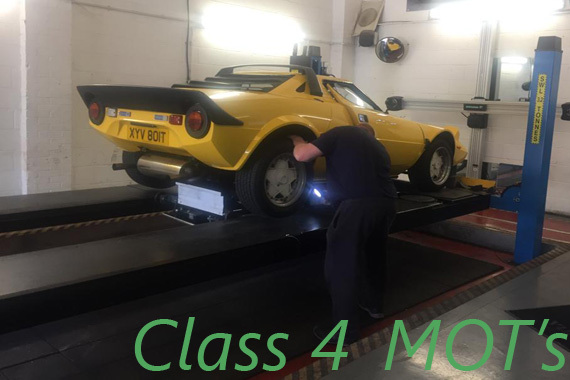 We are an approved MOT testing station for Class 4 vehicles located in High Wycombe. MOT appointments can be done while you wait and can be booked online or by phone. An MOT test is is a legal requirment which must be carried out by an approved DVSA testing centre. The test itself checks your vehicle is road worthy and meets all safety and environmental standards. The first MOT on your vehicle is required on its third aniversary of the registration date and then commencing yearly from the test date. Driving with no valid MOT you could face up to £1000 fine or 3 points on your driving liscence. You can present your vehicle for its next MOT 28 days prior to its expiry date and still preserve the original date. Unsure when your MOT’s Due? If you can’t remember when one of your vehicles MOT is due then you can head over to DVSA’s MOT status checker. Simply input your registration and the online system will show the expiry date.